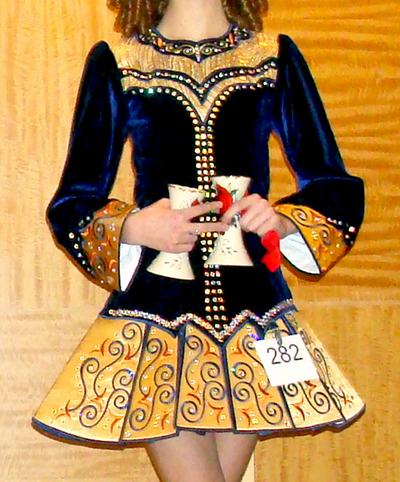 A gorgeous Ann Ash (Dancing in Celtic) championship dress in excellent condition. This has been by far the most-complimented dress she’s ever worn. 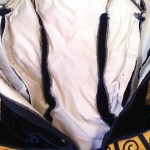 * Modern styling – an extreme dropped waist and multipanel TENNIS SKIRT. * Classically beautiful gold/bronze embroidery on high-quality navy velvet, gold “wave” overlay fabric & bronze satin. 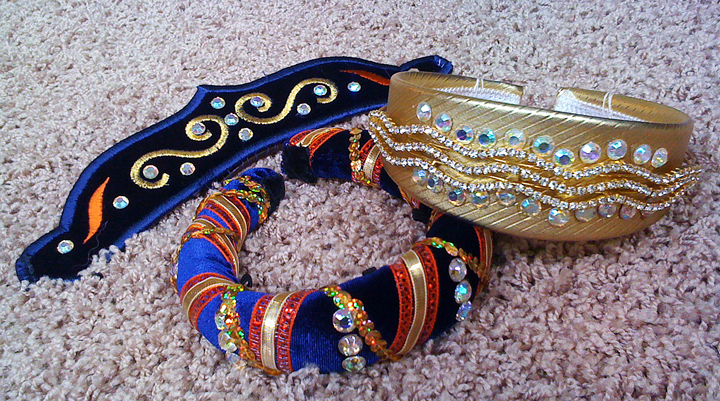 * Elaborate use of STONES – a teardrop necklace effect at the collar, multicolor stoning on skirt, plus hundreds of AB stones creating a sparkling waistline. * It is extremely well-constructed. Tons of LET OUT throughout the both sideseams & darts. 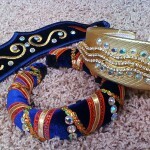 * THREE headpieces – two headbands and one tiara backpiece. 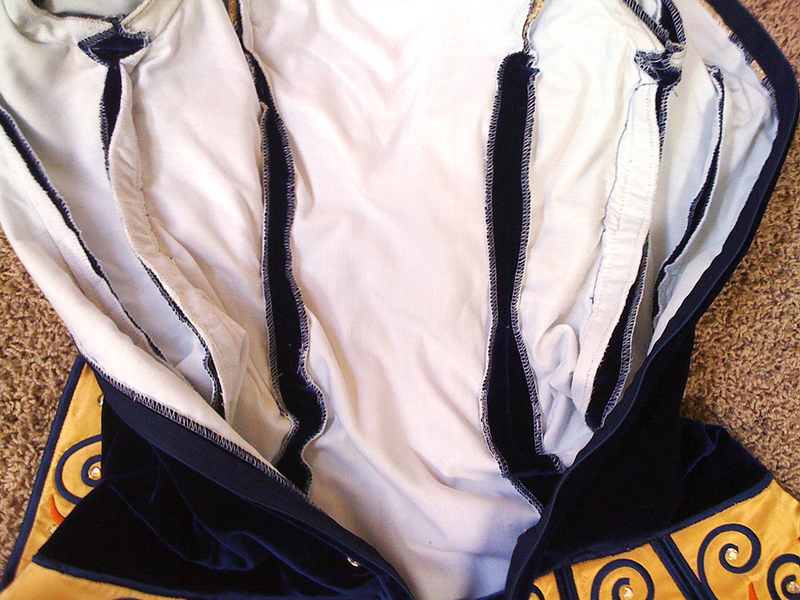 There is quite a bit of let out throughout the bodice – sideseams and darts. As much as 3 inches. My dd was 5′4 to 5′6 when she wore this.